In The Heart Of The Amazon, A Natural Lab To Study Dengue Fever Dengue fever has returned to Iquitos, Peru. Researchers are studying the disease's migration by tracking mosquitoes and taking health surveys of the community. They're hoping the city-size experiment will help them understand what works best to stop the disease from spreading. It's summer and mosquitoes are back. We mostly consider these insects merely annoying, but they also can transmit disease, such as West Nile virus. In fact, in parts of Latin America and Asia — and even, to a lesser extent, in the U.S. — mosquito-borne diseases are growing more common. The city of Iquitos, Peru, in the heart of the Amazon rain forest, has become a giant, open-air laboratory to study the spread of one such disease: dengue fever. Scientists are also using this city-size experiment to find out what works best to stop it. The program is sponsored by the U.S. Navy's Medical Research Unit 6. 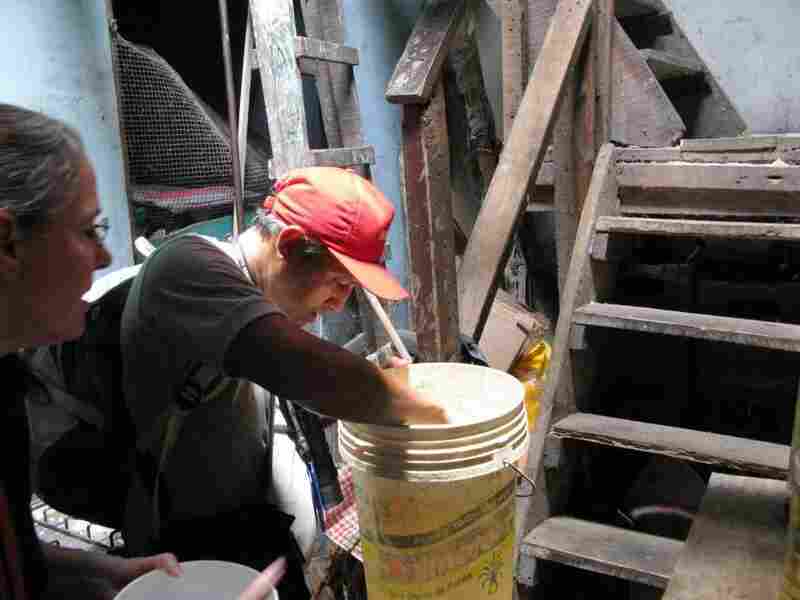 Families in Iquitos often put buckets in their homes to collect rainwater from leaky roofs. The stagnant water is a haven for mosquito larvae. Every morning, a dozen young men go door to door down sun-baked streets in Iquitos that are sometimes paved, sometimes just dirt, carrying out a mosquito census. Two by two, they knock on doors. The people who answer the knock don't seem surprised, and almost all of them invite the mosquito hunters inside. Inside, walls of rough wooden planks divide the space into rooms; clothing is piled on tables. "This is a really good example of ideal resting sites [for mosquitoes]," says Amy Morrison, who leads the medical research unit here in Iquitos. She's also field director for the Mosquito Research Laboratory of the University of California, Davis. One mosquito hunter pokes around in dark corners with a miniature vacuum cleaner that traps insects in a wire mesh cage. His partner counts water containers in the backyard where mosquitoes could lay their eggs. And in one corner, the mosquito hunters find their quarry: tiny specks in a bucket of water. To the untrained eye, they just look like bits of dirt. But they're actually mosquito larvae. "I'd probably miss it, too," Morrison admits. This bucket was in the bathroom, placed to catch water from a roof leak. "That's a very common practice here," says Morrison. But it's also a perfect spot for one particular species of mosquito — Aedes aegypti — to lay its eggs. This is also the primary species of mosquito that spreads dengue fever. "What's fascinating to me about aegypti is it's probably the mosquito that's most closely associated with human beings, and the most adapted to human beings," says Morrison. It's a kind of unwelcome house pet. No other mosquito species is quite so comfortable laying its eggs inside people's homes. It thrives in tropical cities. And more than most mosquitoes, the female of this species has a particular taste for blood. Curiously, this mosquito was not always found in Peru. Half a century ago, public health officials unleashed chemical insecticides on Aedes aegypti and actually wiped it out in large parts of Latin America. By the late 1970s, it was gone from all of Peru. As a result, dengue fever disappeared, too. 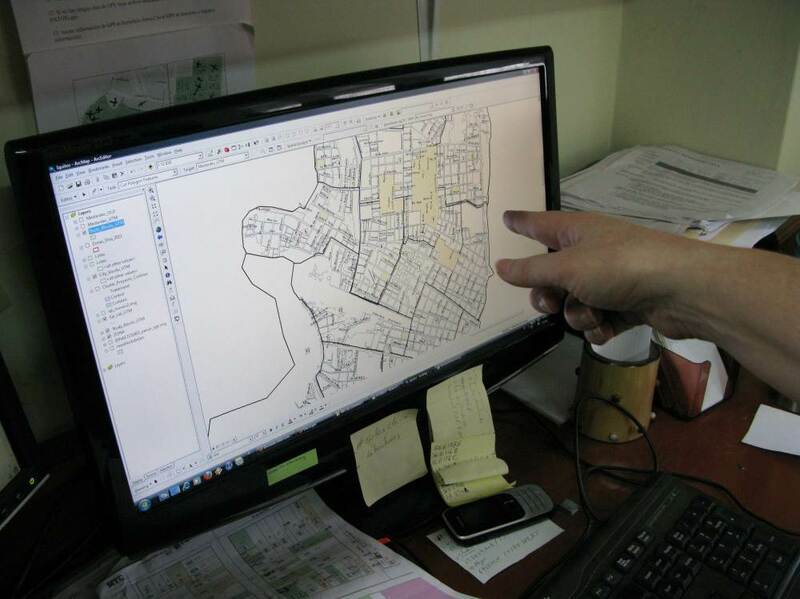 Information about mosquito counts and all health and medical issues are tracked at the household level using computer software. It's helping researchers see how the dengue virus is migrating through the city. But it survived elsewhere — in nearby Venezuela, for instance. Scientists now say the species could not, realistically, be eradicated. Ten years later, inevitably, it found its way back to Peru and other parts of Latin America. 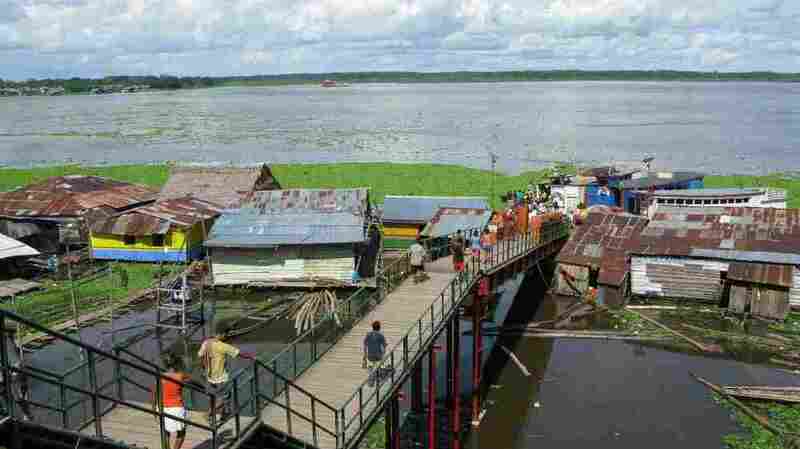 The first city in Peru where it resurfaced was Iquitos. The dengue virus soon followed. Since the U.S. Navy already had a research laboratory in Iquitos, researchers there had a front row seat to watch the "re-invasion" of dengue. It's become one of the world's main centers for studying the virus and the mosquito that spreads it. Along with the mosquito census, teams of nurses monitor people who live in selected neighborhoods. They go door to door to see who is running a fever. Hundreds of people give blood samples every six months. All this information gets recorded in a computerized map of the city. It's a snapshot — actually, more like a movie — of the virus's migration through the city. Morrison and her co-workers are hoping it will help them understand the spread of mosquito-borne disease anywhere, including in the U.S.
Roger Nasci, who's in charge of research on mosquito-borne diseases at the U.S. Centers for Disease Control and Prevention, says such diseases certainly can erupt in this country. "Not only could it happen here; it has happened here," he says. "We had yellow fever epidemics in the United States as recently as 100 years ago; we had dengue epidemics as recently as 50 or 60 years ago." Those epidemics have almost been forgotten. They largely ended when people erected effective barriers between themselves and the insects, such as window screens and air conditioning. But West Nile virus was a reminder that mosquito-borne diseases still can be a threat. In just a few years, West Nile spread from New York to California. Persistent cases of dengue now are found in a few areas of the U.S. as well. A longer version of this story — Mosquitoes in Iquitos — will be broadcast on the radio documentary series Soundprint, heard on many public radio stations. Nasci says others could follow. For instance, there's Chikungunya virus, which has spread from East Africa to South Asia. Recently, a traveler from India brought it to Italy, and mosquitoes there picked it up and started spreading it. "We have infected travelers coming to the U.S. with both dengue and Chikungunya virus that could hypothetically and very easily set up a similar kind of transmission cycle," Nasci says. The experience in Iquitos shows how difficult it is to shut down such a transmission cycle once it is well-established. Spraying campaigns that the city carries out do have an impact, but they don't prevent dengue entirely. Morrison admits that the mosquito is a really tough adversary. 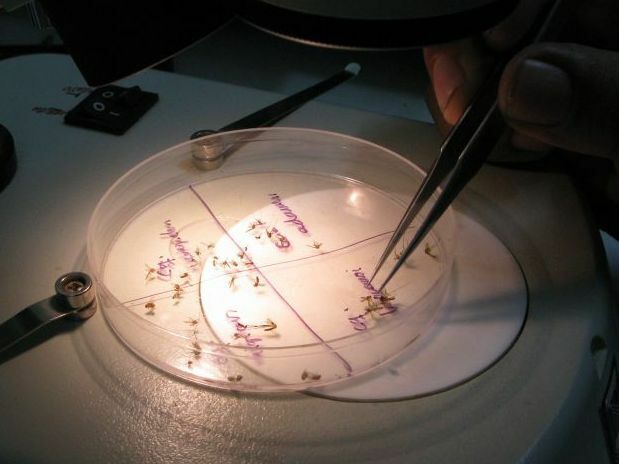 Back at the lab, a researcher sorts mosquitoes by species. They were collected as part of the daily mosquito census. "I always say, we keep discovering things that turn out to be sort of bad news to the overall goal, which is to find more clever, interesting ways to combat the mosquito, or control the mosquito," she says. But even though the mosquito probably can't be wiped out in Latin America, Morrison is convinced that it can be controlled well enough to prevent really big outbreaks — such as one that swept through Iquitos earlier this year. During that outbreak, almost 1,000 feverish patients filled the regional hospital. Dr. Stalin Vilcaromero says temporary cots lined the hospital's stairwells and hallways. And these patients didn't have ordinary dengue, which usually means a week or so of misery but little more — they had the really dangerous form of the disease: dengue hemorrhagic fever. This is much more common when a person gets reinfected a second time with another strain of the virus. At least two dozen people died; many more might have, if they had not come to the hospital. On this evening, only two dengue patients remain in the hospital. One of them, Javier Almindo Garcia, still cannot walk. In his case, the dengue infection set off another illness, a neurological condition called Guillain-Barre syndrome. Almindo Garcia says he doesn't know where he might have encountered the mosquito that infected him with the virus. "I have no idea. It just suddenly hit me," he says.